Ultra high molecular weight polyethylene (hereinafter called as UHMWPE) is a linear structural polyethylene (PE) with viscosity-average molecular weight of more than 1,000,000 (ordinary polyethylene molecular weight is only about 200,000-300,000).The high relative molecular weight, which has given its extraordinary performance, and makes it a new type of high performance thermoplastic engineering plastics. Due to its high molecular weight, UHMWPE almost has integrated the advantages of all kinds of plastic, with common polyethylene and other engineering plastics incomparable corrosion resistance, impact resistance, self lubrication, corrosion resistance, low temperature resistance, health non-toxic, no adhesion, non water absorption and other comprehensive performance. Especially in the transmission of solid particles, powder, slurry and gas, UHMWPE has shown a unique superiority，thereby it is called as“amazing plastic”. 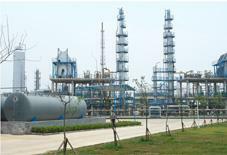 SL TEC offers the technology to continuously produce UHMWPE by ethylene polymerization. 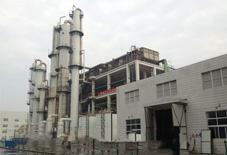 The UHMWPE plant is composed of catalyst preparation unit ,polymerization unit ,the drying unit and separation unit, product transportation and storage units, product packaging unit, solvent recovery unit, exhaust gas treatment unit, chilled water unit, cooling water unit, the soft water preparation unit, compressed air and instrument air units. The UHMWPE production process adopts the method of low pressure and low temperature continuous polymerization technology，which is the most advanced in the industry. 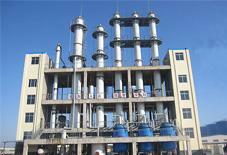 The advantages of this method include stable product quality, high yield, low energy consumption, low pollution, safe and reliable. All product grades can meet the current market demand for fiber grade, film grade and 9,000,000 molecular weight grade.